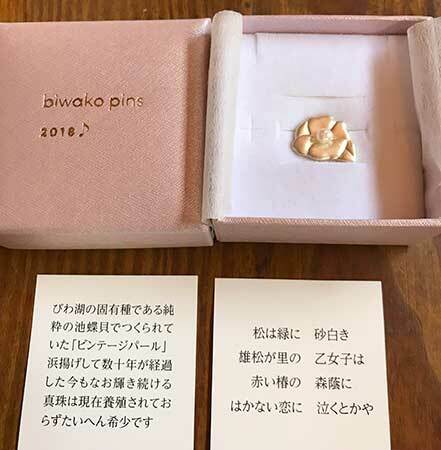 *Limited edition Biwako Pins 2018 Tsubaki (Camellia version for Verse 2) with a vintage Lake Biwa pearl now available to people donating ¥3,000 to help support the Biwako Music Festival. Transfer your donation to our Japan Post account below. 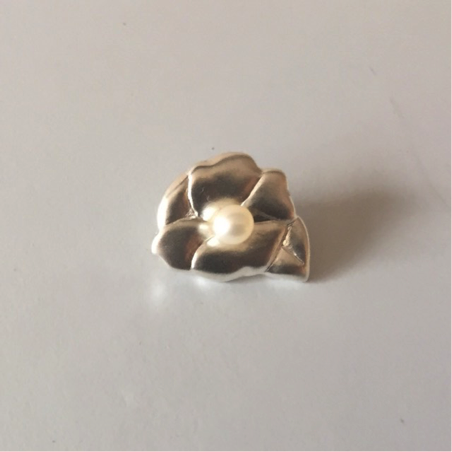 Left is the Camellia pin for 2018 and on the right is the 2017 Biwako pin. 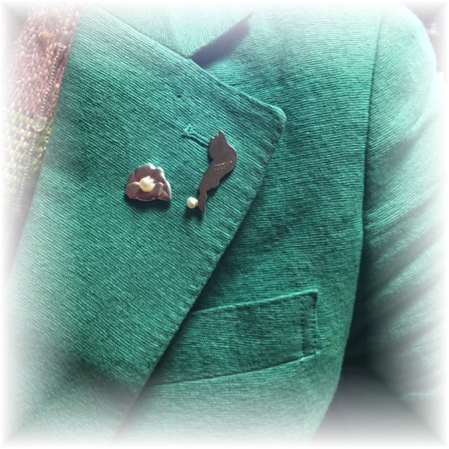 Both have a Lake Biwa pearl.